In western Pennsylvania and northeast Ohio, PetCure Oncology has partnered with Pittsburgh Veterinary Specialty and Emergency Center to bring advanced cancer care to dogs and cats. The most comprehensive, multi-specialty veterinary center in the region, PVSEC is a leader in patient care innovation and community education. Renovated in 2014, the robust, 35,000-square-foot campus is home to 15 board-certified specialty areas including radiation oncology, medical oncology, neurology, internal medicine and surgery. PVSEC offers 24/7 emergency veterinary care and is the only practice in western Pennsylvania that offers high-field MRI or radiation therapy for pets. Working closely with the PVSEC team, we will develop the best possible treatment plan for your pet. 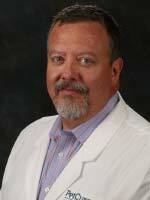 Dr. Pohlmann is PetCure Oncology’s lead remote radiation oncologist. She oversees teleconsultations and treatment planning for patients and veterinarians in western pennsylvania and northeast ohio. 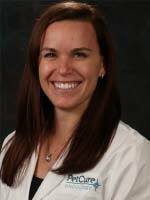 Dr. Pohlmann earned her veterinary degree from the University of Georgia before completing her residency in radiation oncology at Colorado State University’s prestigious Flint Animal Cancer Center. She has been working with PetCure Oncology since 2016. Dr. Mauldin is PetCure Oncology’s chief medical officer and a pioneer in the field of veterinary radiation oncology. A triple-board certified veterinary specialist, Dr. Mauldin has extensive experience in stereotactic radiosurgery (SRS). His career has included six years as AMC’s radiation therapy program director and section head of diagnostic and therapeutic radiology. At LSU, he was the director of the molecular oncology laboratory for eight years. For the last decade, Dr. Mauldin has been working in private practice in Calgary where he has treated thousands of patients utilizing SRS and RapidArc therapy with exceptional results. Click here to meet PetCure Oncology’s board-certified clinical specialists. Simply give us a call at (833) PET-HERO. We will reach out to your family veterinarian to make all the arrangements and obtain your pet’s medical records. To get the most complete picture in advance of your visit, our specialists will discuss your pet’s medical history with your family veterinarian before you come in for a consultation. You will also be asked to complete some forms before your visit. On the day of your appointment, Dr. Dauphin will examine your pet and answer any questions you have. Together, we will work out the best treatment plan possible and start your pet’s journey toward better health.